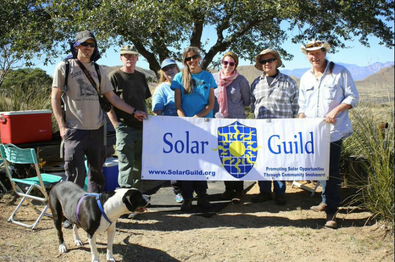 Solar Guild has hosted numerous weekend workshops installing 2 large solar arrays, totaling 40kW. Participants have included students from the Solar Installer classes at Pima Community College, High School Solar Clubs, and solar enthusiasts from the community. Working with Citizens For Solar and Arizona State Parks, three stand alone lighting systems have been installed in the group ramada area. 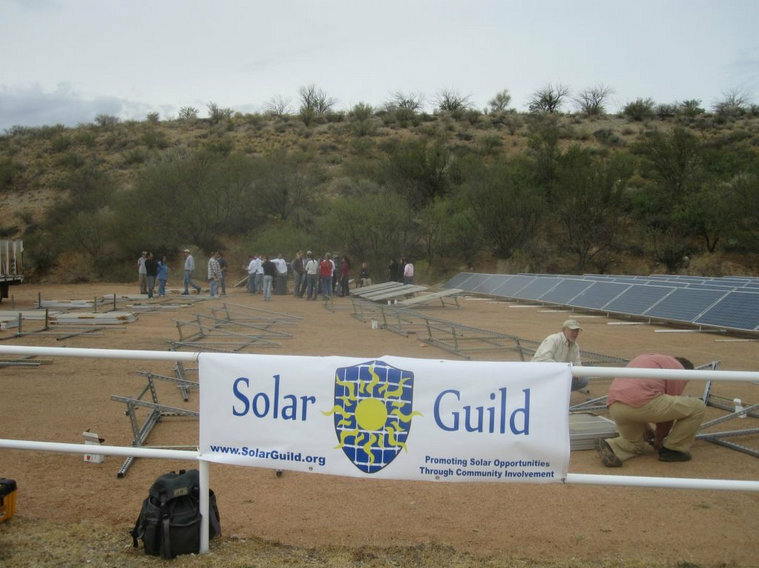 Solar Guild members installed 2 identical 5 kW ground mount systems for an AzRISE research project during 2 weekend workshops at Tucson Electric Power's Solar Test Yard. The Girl Scouts of Southern Arizona, in conjunction with community leaders and outrea﻿ch coordinators, run a solar camp within their science and technology program. 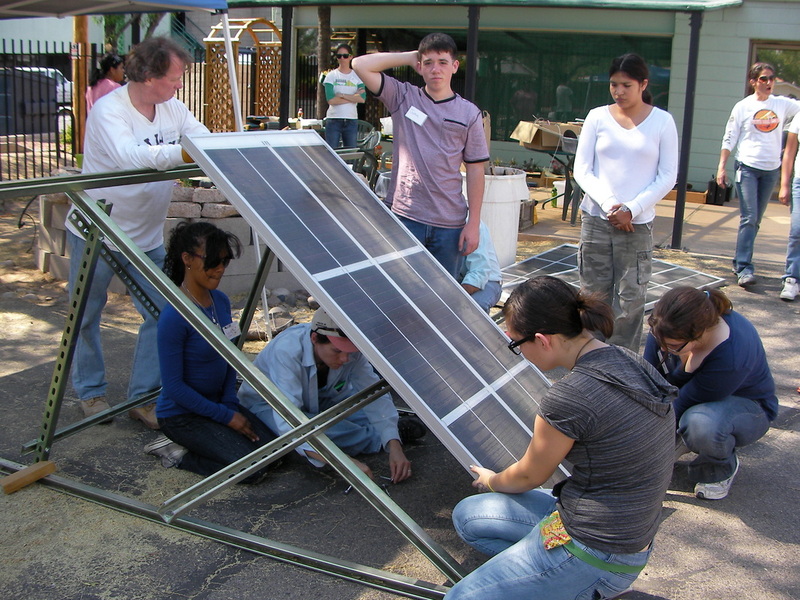 Girls ranging from 12-16 gain knowledge related to designing and building a basic photovoltaic system along with other fun hands on activities. 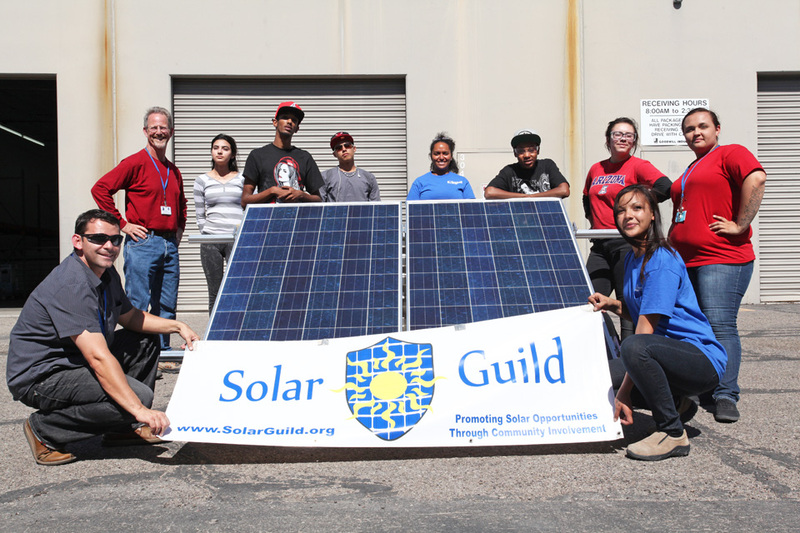 As part of the GoodFutures program, Goodwill Industries has incorporated a 2-day Solar Technician training workshop that in﻿troduces young adults to the Solar Energy field. 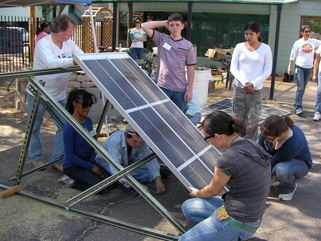 The workshop includes﻿ a classroom component, where electricity and solar energy basics are covered, as well as a field day where they get to assemble a 500W stand alone PV system from scratch. The Land with No Name - Sanctuary for Homeless Sculpture is a 25-acre nature and art preserve located in the scenic Sierrita Mountains, about 45 minutes southwest of Tucson. 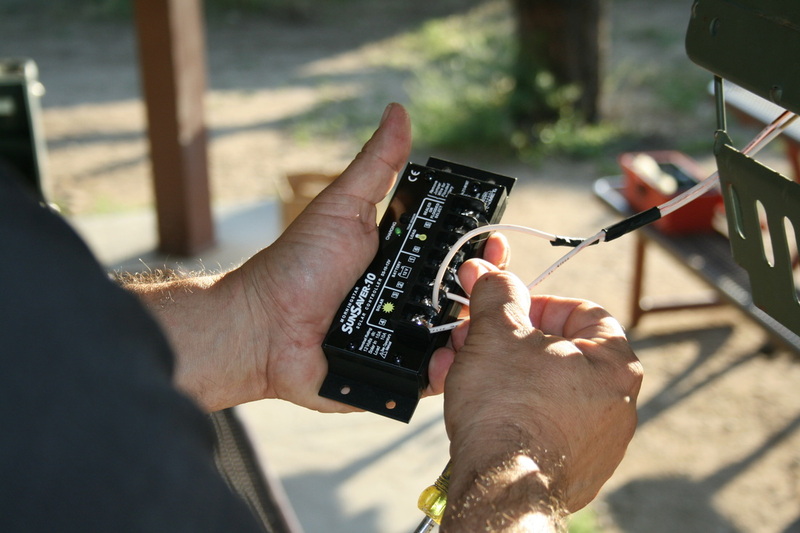 The Land offers art classes and workshops throughout the year as well as guided tours of the sculptures that are currently on display along its 1/4 loop hiking trail. 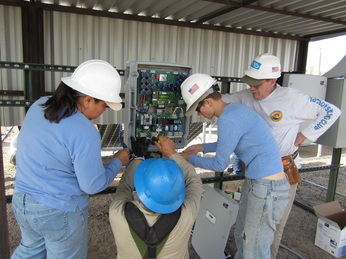 Stewards, Ted Springer and Kate Hodges, recently acquired a shipping container, Orange Box 1, which will be used as classroom space and overnight lodging for visitors. 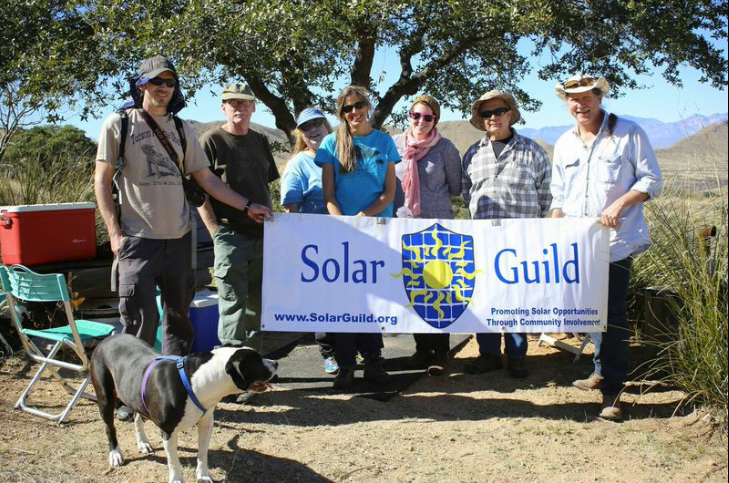 The Solar Guild is currently helping to design, and eventually, install a stand-alone solar system the can provide basic climate control, lighting and laptop charging capabilities to Orange Box 1. 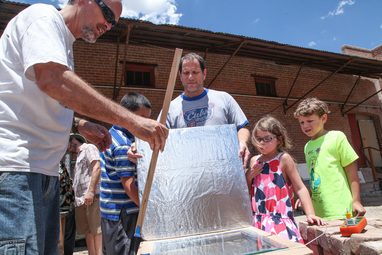 Solar oven aficionado "Solar Toby" imparted his wisdom and many years of engineering experience on a crowd of 20 eager solar cooking enthusiasts on how to build a simple solar oven at home using everyday materials. Future build-your-own solar oven workshops at Xerocraft are in the works so check back frequently with our calendar for future dates.